I'm running out of ideas. I've revoked my existing certificates, deleted all provisioning profiles, and recreated everything again. I also created a dummy project from Apple's included iOS Master-Detail template. That exhibited the same behavior where no code signing identities or provisioning profiles were available from the project build settings. I'm pretty open to all ideas. Thanks. As I mentioned, the code signing drop downs don't appear either, even though they have been properly created and downloaded through Preferences / Accounts. Xcode will show all the options after this. Your provisioning profiles doesn't list out in your project setting because, provisioning profile doesn't match with your bundle identifier. 1) Check your bundle identifier to list out provisioning profile as like below picture. Because It also lead to this problem. 2)You may not using the correct certificates when building your app. 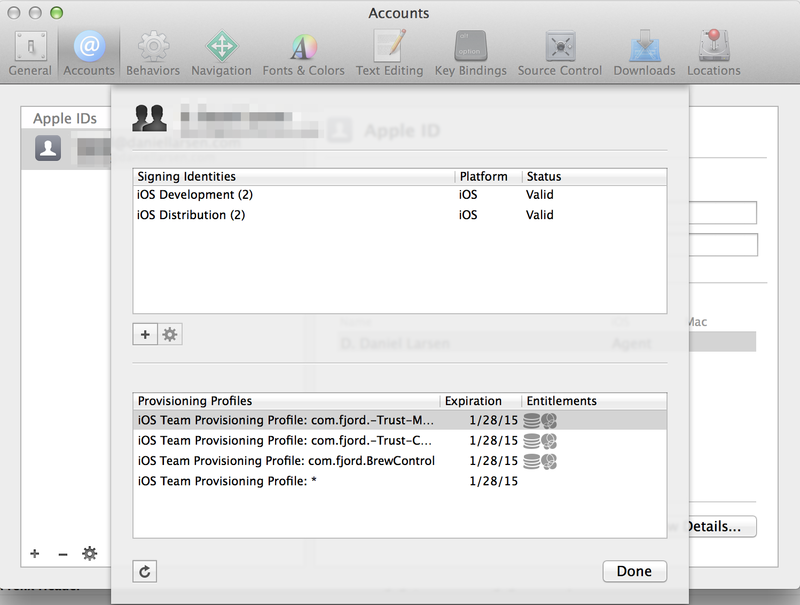 Just Delete your certificates in Provisioning Portal and create new ones and update them in Xcode. Have you tried installing iPhone configuration utilities. Not the answer you're looking for? 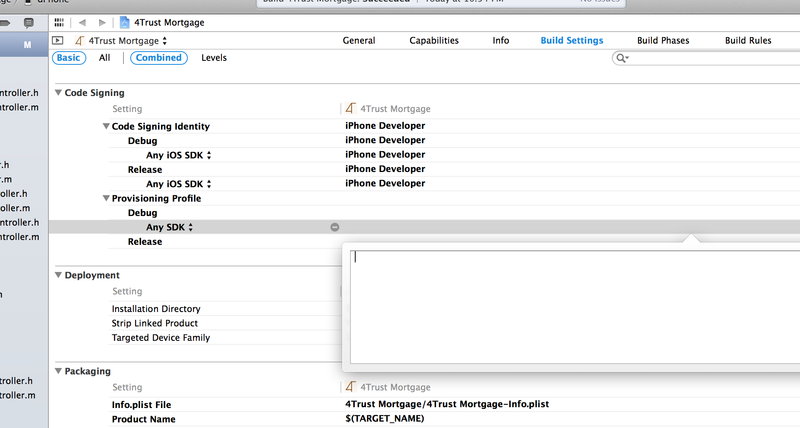 Browse other questions tagged ios xcode configuration code-signing or ask your own question.